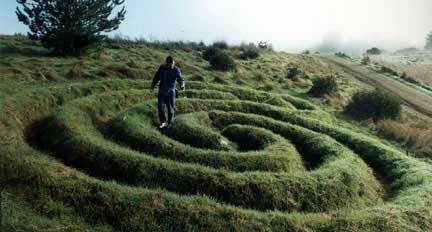 When Champion saw that the Cretan Labyrinth was made from two connected meander patterns, he took a single meander pattern, added a few lines and made the double spiral. 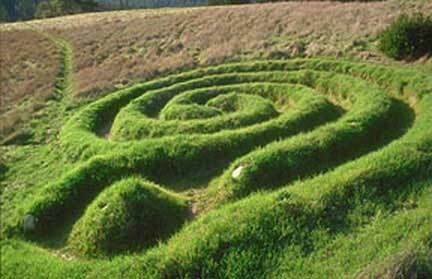 It was first made as a grass design in 1987, and was converted to an earthwork in February, 1989. While he was making it, a cold spell hit and it snowed two inches. The earthwork is 28 by 34 feet.